What is Ultimate Prepaid Block Time? With the growing complexity in IT technology, we understand you may never know what level of support your organisation requires from month to month. We also understand some companies don’t have the in-house skills or external support agreements should things go wrong. However, when things do go wrong, your business needs access to an experienced team of reliable IT professionals, with wide-ranging proficiencies, who strive to understand your sometimes-unique work environment, and address your issues fast. 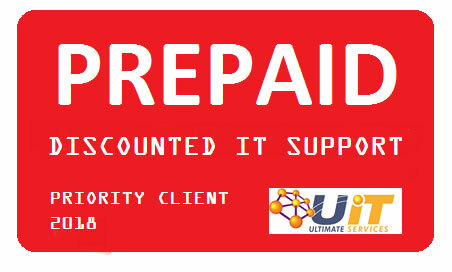 Ultimate IT Services Prepaid Block Time offers you a bridge for those times that you need additional support in the absence of a support contact. Depending on your requirements, you can easily engage the flexibility of our experienced and proficient support team as an extension of your team. Hours can be used for basic IT support and problem remediation through to complex projects that require additional or more experienced skillsets. Our team are available to assist with proactive network monitoring, backup management, desktop, server and network support. 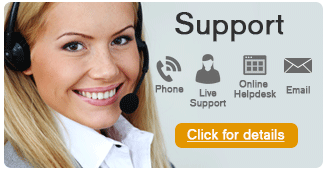 Ultimate IT Services team are ready, willing and able to assist when required. Ultimate Block Time offers pre-paid bundles of IT services, which allow you to control the way you engage our team. We offer a range of 24, 48, 100 and 150 Block Time bundles, discounted accordingly, to suit specific requirements. As an Ultimate IT Services client, you will benefit from the reliability of our proficient engineers, ensuring all your support requirements are addressed in a professional and timely manner. Our team strives to completely understand your business applications, environment and priorities to emerge as your trusted IT advisor. Priority access to our multi-skilled IT specialist team, from desktop to more complex server, network, unified communications and cloud support for a fraction of the cost of one full-time employee. Access to additional premium Service Level Agreements which offer guaranteed response times and can be tailored to accommodate your specific needs and the level of service required. Why not try out our services with Ultimate IT Block Time, before committing to a Managed Services Agreement.